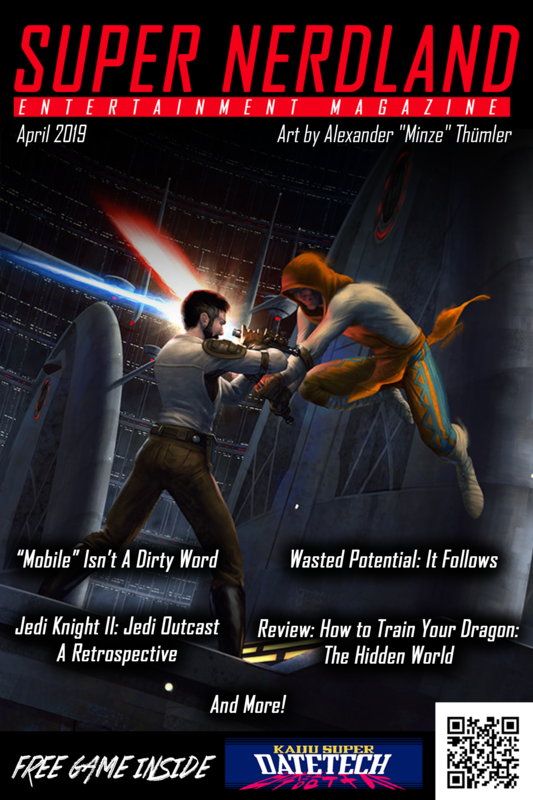 Set releases march ever on, and as an adult playing a collectible card game it can be difficult to keep pace. As you may have noticed, there has been a bit of a gap in our set reviews and previews for Magic the Gathering; this is mostly down to a busy schedule on on my part resulting in a lack of hands-on time with the set. I will instead be doing an in-depth sunset review of Oath of the Gatewatch, as well as highlighting why the set ended up breaking Modern so severely. So keep your eyes peeled for that. Today, we’re here to talk about Shadows Over Innistrad, and thankfully I have a lot better things to say about this set than the last one. I haven’t had time to do a preview of this set, so if you need a refresher on the mechanics of Shadows Over Innistrad then you can read the official article on the Wizards of the Coast MTG website that explains the set’s new and returning mechanics. I was able to pick over some of my friend’s Shadows Over Innistrad pre-release decks and I had some playtime with the cards themselves. I can safely say the set feels really good to play in Limited. The themes and mechanics all gel perfectly with the lore and flavor which is not only good for the story, but makes choosing cards feel more intuitive and rewarding. 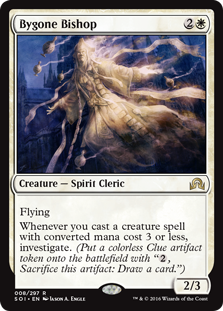 For example you look at a card like “Mad Prophet” and instantly know it’s going to be an all-star in your Madness deck. 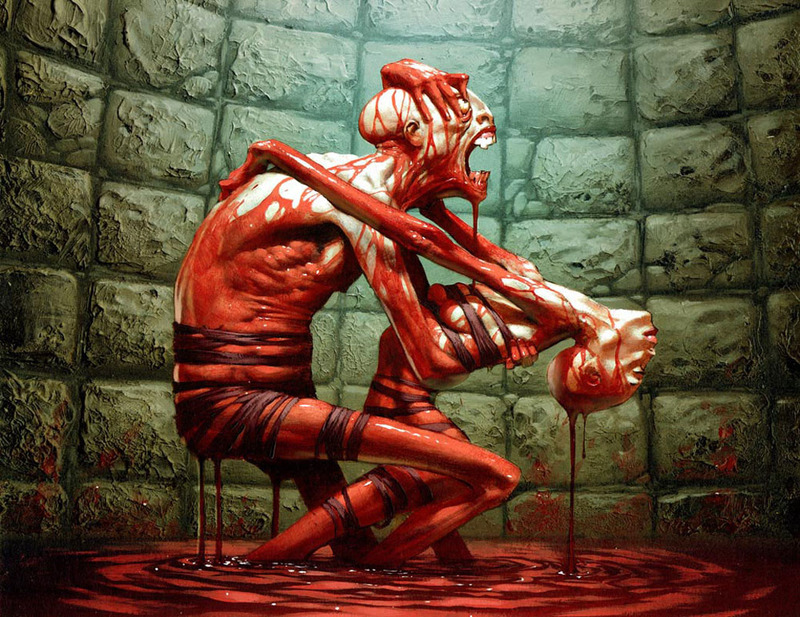 Speaking of which, I love the discard matters theme for Madness and Delirium. Madness especially is very easy to get your head around. It gets you looking straight away for cards that let you discard, and is a great way for newer or less experienced players to wrap their head around synergy. It also allows you to turn spells or creatures into instant speed tricks, rewarding more skilled players. Delirium also makes discarding cards desirable, and may lead to some interesting choices when it comes to deck-building to make sure you can hit all four of those card types. Players may value otherwise lackluster equipment or enchantments over other filler cards simply to keep them as discard targets to fuel Delirium. In order for Delirium cards to be good, you need to have a realistic chance of activating it. There are twelve Werewolves and nine Wolves in Shadows over Innistrad; all of them Red or Green and all the twelve Werewolves transform. Werewolves are where the aggro is, but this time they’re not as brutal when they flip. You don’t suddenly go from a cheap 1/1 to a 4/5 when no one casts any spells. 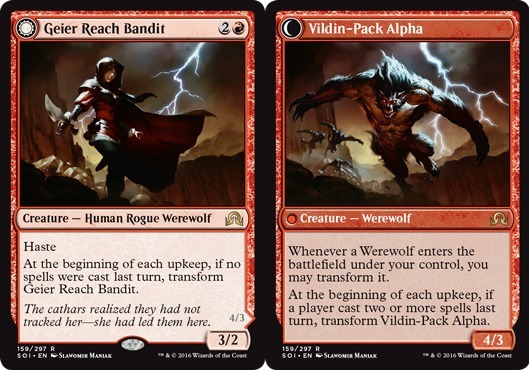 If you’re building the Red/Green aggro deck, chances are you’re already into the Wolf theme and chances are you’re going to want to take most of them you see. There aren’t a massive amount of cards that care about the wolf/werewolf sub-type, but there’s enough to make a Wolf deck worth looking at. 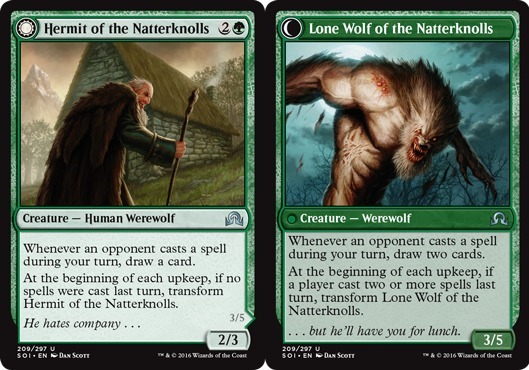 Commons like “Howlpack Wolf” work well in multiples or with other wolves/werewolves, but the downside/upside isn’t that extreme. Whereas Werewolves are linked with Transformation, Vampire decks in Shadows over Innistrad are linked with Madness. There are eighteen different Vampire cards in the set, all of them Red or Black. But only four of which are rare, so you will be seeing them quite often. 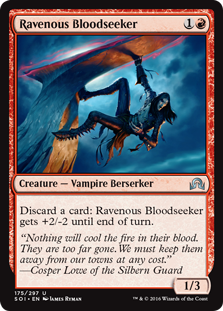 Five of these Vampires are straight Madness cards, and many others are Madness enablers like “Ravenous Bloodseeker,” a draft high pick if you are looking to discard specific cards. The Clue based decks are less obvious to build. 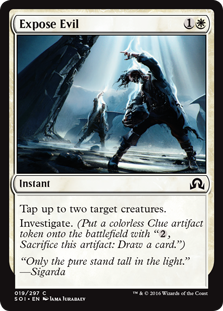 The investigate mechanic, which generates clue tokens, is on Blue, White, and Green cards. So many decks are going to take advantage of this mechanic. 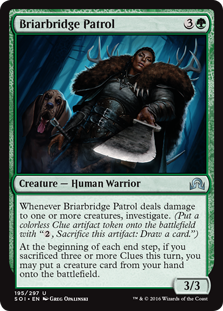 It’s quite a unique addition to game play on the surface, but even incidental clues mean players will be seeing more of their decks. They’ll also be filtering more of their decks with the discard effects needed to activate Delirium and Madness. Players with a lot of clue tokens will always have something to do with unused mana, eking out that little extra bit of efficiency by drawing cards. All of this means games will probably be going long in this Limited environment, barring someone creating an unforeseen broken aggro deck, which in my experience makes a better range of strategies more viable. 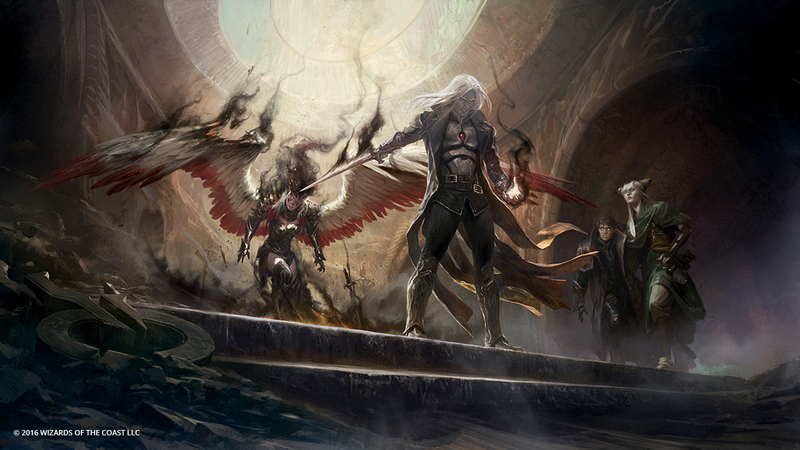 From what I’ve seen, Shadows Over Innistrad is going to be a very fun, flavorful, and varied Limited environment. What will be the shape of Shadows Over Innistrad Standard play be? Both Battle for Zendikar and Oath of the Gatewatch failed to shift existing archetypes from Khans of Tarkir, but two thirds of that block is now rotating out along with the backbone of most decks played in Standard — especially their 3/4 colour mana bases. Its plain to see from even just the spoilers that Shadows Over Innistrad has a higher power level than the previous block, with other less assuming cards offering possibilities for highly synergistic decks. This means Shadows Over Innistrad will certainly have a huge impact on Standard. As we scramble to find new archetypes post-rotation, the question on everyone’s mind is: what are the best cards in Shadows Over Innistrad for Constructed? Well, my fellow contributor Pory did a great roundup of what cards are going to be powerful in the coming standard format. All of the cards mentioned in his stand-alone spotlight are going to see play in my opinion, which really cuts out a lot of the work for me here. So I would suggest reading it as I will not be going over the obvious Standard powerhouses mentioned there. Whilst I agree with all of the cards highlighted by Pory in his overview of the coming set, I do think a few cards were overlooked. 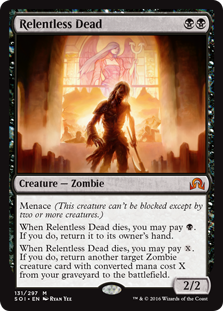 My big pick for Shadows Over Innistrad is actually “Relentless Dead,” a card I think many are unduly overlooking. Its a 2/2 for two mana with upside — a thing rare in Black. It has it’s own Recursion engine and it can easily recur your other zombies, but the real power of Relentless Dead is that it can block. When like cards can be endlessly recurred it usually comes into the battlefield tapped, or can’t block all together. When Relentless Dead dies, for total of 3 Black Mana, you can put it straight back onto the battlefield come your next main phase. So feasibly it can attack, trade, and be back to block again on your opponents turn. Relentless Dead really earns its name in that it is… relentless. I really do expect this to take over some games in the fashion that “Pack Rat” did once it became clear how busted that card was. Zombie Tribal here we come. “Bygone Bishop” may not look like much, but he’s the keystone of a possible White Weenie Standard shell, a deck that I can see working well with cards like “Always Watching.” Clues are going to be a thing in Standard, mark my words, and having such a repeatable way to produce them in an archetype that historically runs purely cheap creatures is powerful. It’s also worth noting he triggers off himself and having multiples of this in play is going to get hilarious. Once you’ve dumped your hand, clues also give you something to do with your mana, the card draw gets you more dudes and so on. Watch out for the Bishop as he’s no joke. “Deathcap Cultivator” is also a card I predict will see extensive Standard play. There are precious few cheap mana accelerants in the coming Standard environment, so the Cultivator is going to be the go to mana-dork for this Standard season. His ability to produce two colours of mana is nice, and the Deathtouch makes him more relevant than other mana creatures we’ve seen later in the game. Whilst I do feel uncomfortable that Wizards is essentially making “Llanowar Elves” rare from now on (sometimes it’s nice to not have decks purely be rares/mythics, especially since all decent removal is now rare) I can see why this type of card is going to be the norm from now on. He’s not perfect, but in the meta-game you’re going to want him. 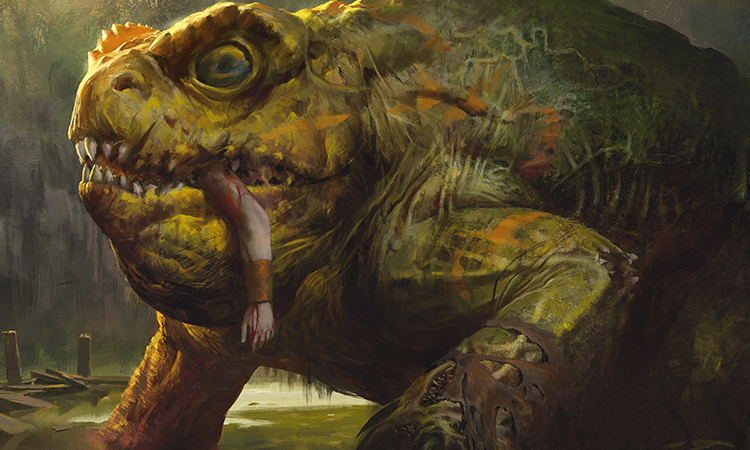 The recent bannings and unbannings in Modern have left the format in a state of flux. At the time of this writing people are unsure what the top-tier of Modern decks will look like. This makes things even more uncertain and exciting for Shadows Over Innistrad, as powerful cards in the set have a chance to break out in — or at least be tested in — Eternal formats. But let’s put Modern on hold for a second, because people are freaking out over the card “Thing in the Ice” possibly breaking all the way into Legacy. Pory put this card as his number one pick for standard, and whilst I do think it has application there, its impact will be most felt in formats like Modern and Legacy where it can be more easily abused. There’s a lot of buzz around “Archangel Avacyn,” a card we already know will wreck face in Standard, possibly also making it into Modern, but I think that buzz will be short-lived. I see her more as a sideboard card, or for narrow applications in a few specific lists. I don’t think she’s going to become a staple by any means due to competition from cards that fill similar roles at similar mana costs. 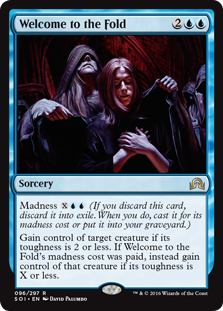 A card people seem down on, but I think will make at least some headway into Modern, is “Anguished Unmaking.” I get it, it’s not Vindicate. Nothing will ever be Vindicate again because Vindicate was bonkers busted broken. Not hitting land makes it less powerful, but in Modern people are going to play a ‘fixed’ Vindicate. Losing three life isn’t going to be an issue in most games, as you’d gladly pay that and more to disrupt what your opponent is doing. The life-loss is there just to make casting this multiple times a game more difficult. Anguished Unmaking also Exiles, giving it one edge that Vindicate doesn’t have. 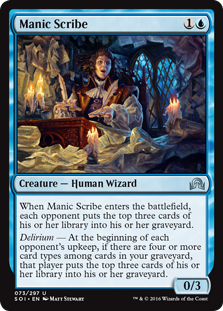 Wizards won’t always give you want you want, but you just might find they’ve given you what you need with this card. 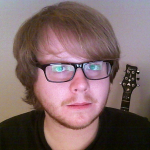 Once again its time to talk about Relentless Dead. I really can’t get over how pushed this card is, and a card that partners well with it “Prized Amalgam.” These two cards are going to give Graveyard decks a boost, and might even make that sought after Zombie Tribal an real thing. Its upside is the same as I described in Standard; it just has access to a more synergistic card pool in Modern, and for that reason I think the card is going to see a decent amount of play. As for Commander, the card I want to try the most is old froggy himself, “The Gitrog Monster.” Deathtouch on a 6/6 is weird, but the fog horror has a lot of fun synergy in the format and the potential for a lot of land-based shenanigans — most obviously with “Titania, Protector of Argoth.” Any Commander that says “you may play an additional land on each of your turns” is at least worth a look just based on that, but this many effects on a single card just begs to be played with in Commander. Fun and powerful, but not unfair. How much value is in Shadows Over Innistrad? The first elephant in the room is the noticeable lack of major reprints in this set. Original Innistrad is a ludicrously high dollar set to get hold of sealed product for because it’s chock full of cards that see play in all sorts of formats. In fact, there only two cards from Innistrad returning in Shadows Over Innistrad: “Dead Weight” and “Unruly Mob” — two commons. The second thing to note is this time around there are no Zendikar Expeditions style ultra-premium card insertions. Some had speculated that cards from the original Innistrad could be re-printed in this way, but this is obviously not the case now. Quite honestly, I see this as a good thing as it shows Wizards has more faith in the stand-alone selling power of Shadows Over Innistrad without dangling the carrot of ultra rare cards that might only appear once every two or three boxes. I still maintain the Expeditions were used as a crutch to sell an under-powered and disappointing set and Wizards of the Coast’s not continuing the practice seems to support this thesis. So the lack of reprints and lack of premium mini-set on paper makes Shadows Over Innistrad look like it might be short on value, but in my opinion the opposite is the case. The buzz around some cards for Eternal play coupled with an overall high power-level makes it likely that Shadows Over Innistrad will have a good range of $10+ cards that will appreciate in value as the set gets more scarce. There is no substitute for good old fashioned playable cards, and the potential for Modern and even Legacy breakout cards is there in spades. The true value of a set comes from the accumulation of its ordinary rares, and Shadows Over Innistrad isn’t sporting the same level glut of dud rares the Battle For Zendikar block did. As I stated in my section about Modern, recent bannings make it difficult to asses what will and won’t see play — and therefore gain in value — but on balance I think Shadows Over Innistrad will be end up being a high-value set overall. Apart from lacking reprints, Shadows Over Innistrad feels almost like an apology for the previous block. It’s just conjecture, but I suspect Wizards of the Coast R&D may have realized they were developing a bit of a lemon last set. I know these cards are designed way in advance, but as a counter-punch to a lack-luster revival set I think Shadows Over Innistrad is a solid — if slightly safe — in its mechanical approach. We’ve seen effects like Skulk before, but this set keywords it. And it fits very much within the bounds of obvious pseudo-evasion mechanics like Menace. 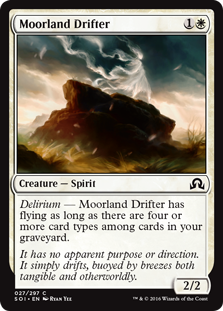 Delirium functions much like Threshold in that it checks how many of something you have in your graveyard. Again a safe mechanic but an elegant one. I’m not using “safe” as a criticism here, it’s better than Wizards continuing to pull random mechanics out of the air that people will never use or remember like Tribute, or ones that basically don’t do anything in practice like Devoid. This is much tighter game design on the part of Wizards, and it’s wrapped up in an intriguing world that Magic the Gathering fans already know and love. When Shadows Over Innistrad was announced, I criticized Wizards of the Coast for seemingly running out of ideas by following one revival set up with another. I still stand by that criticism, but Shadows Over Innistrad is the kind of revival set we should be seeing. The Battle for Zednikar block knocked my confidence that Wizards knew what they were doing with the Magic the Gathering brand, or that they knew what made their iconic sets special. The best endorsement of Shadows Over Innistrad I can give is this: It really feels like Innistrad. « [Possibly NSFW] Boku No (Pico) Why Did I Even Do This To Myself?